A new video released by the GOP trolls Democrats by illustrating how the long predicted “blue wave” never actually materialized. Despite Democrats taking control of the House, their margin of victory was far shorter than many predictions, while Republicans increased their control of the Senate. All four of the candidates Barack Obama campaigned for lost, while the GOP out-performed the historical average for the president’s party in mid-terms. The compilation clip released by the GOP features numerous talking heads admitting that the ‘blue wave’ was more of a ripple, with some having previously asserted that “an enormous tsunami-like blue wave” was coming. “There was some hope that the Democrats would have a wave election, it’s not going to be a wave election,” said Democratic strategist James Carville as the results came in. 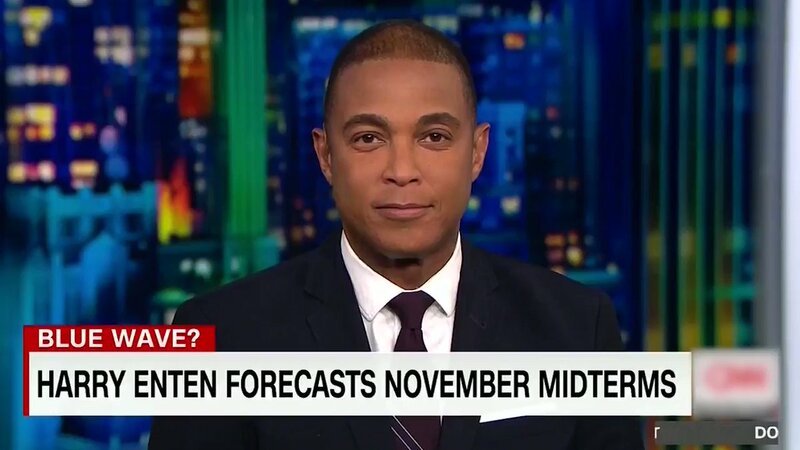 “This is not a blue wave….Democrats did hope for a big blue wave, that is not happening,” acknowledged CNN’s Jake Tapper. “Democrats are not winning in the way they were hoping to win earlier in the night,” said another commentator. “It’s a red wave on the Senate side at least,” added another MSNBC host. (Editors note: Very interesting, a liberal says "At least" its a red wave in the senate, which can nix any crazy stuff the House sends their way. "At least" means that it could be considered a red wave elsewhere too. Many conservatives went into office. I vote the 61,000 sealed indictments are an even more important red wave.) Just like every other fever dream of the anti-Trump “resistance,” the blue wave’ turned out to be as genuine as “Russian collusion”. Worry not saints; the Old Dragon is being cast down from his authority over God’s people as they come into line with Him. Already some elections that have been called by the Democrats and their MSM too early have turned around. Friends there was widespread cheating by the Deep State and Democrats at this mid-term election. Voting twice…Soros' voting machines were flipping Republican votes to Democrats, etc. Non-citizens were voting - https://www.infowars.com/veritas-bombshell-election-official-admits-non-citizens-voting-in-texas/ Pictures showed very low turnout in Democratic strongholds - https://www.newswars.com/shock-photos-light-turnout-in-dem-districts/ Voting machines break down across the country turning voters away - https://www.infowars.com/voting-machines-breaking-across-country/ Obviously some of this can be reversed if they are even interested in doing so. I believe there was a red wave, like what actually happened in the Presidential election, but it has been obscured by all this cheating. Remember that we have received in every prayer meeting words that D.S. Babylon will war against the apostate Christians and their leadership and conquer them to destroy the D.S. Babylon in Christianity. Their own witchcraft and faction has slaughtered these already but more physical things will be done in the near future to drain the swamp in Christianity. This also will be happening in the tribulation. This was like Haman caused the people to repent when they realized the plot to destroy them and then the Purim victory came and the beast fell into his own trap. Haman's war to destroy the people of God was turned around by repentance in the people and intercession by the Man-child and Bride. At the Passover Pharaoh’s heart had been hardened by God to show His power to save in the most adverse circumstances. Then they all trusted in the blood of the Lamb, who is Jesus and the Passover trap was sprung taking down the first-born of all Egypt. Pray for the people of God to repent quickly. If we repent and do warfare by faith the Trump revival will still win just as Cyrus did. I am sure P. Trump is watching the enemy closely through the NSA and other intelligence organizations and they know all about the cheating. The wicked lay a trap and fall into it themselves as it was with Daniel in the Lions den. He escaped and they were devoured. We have been given the Sennacherib Scenario many times. His huge army took the apostate tribes down and came and encircled Jerusalem to destroy them. The people were helpless to do anything but cry to God who then answered. Isa 10:1-25 Woe unto them that decree unrighteous decrees, and to the writers that write perverseness; 2 to turn aside the needy from justice, and to rob the poor of my people of their right, that widows may be their spoil, and that they may make the fatherless their prey! (They took down the apostate faction in the church) 3 And what will ye do in the day of visitation, and in the desolation which shall come from far? to whom will ye flee for help? and where will ye leave your glory? 4 They shall only bow down under the prisoners, and shall fall under the slain. For all this his anger is not turned away, but his hand is stretched out still. 5 Ho Assyrian, the rod of mine anger, the staff in whose hand is mine indignation! 6 I will send him against a profane nation, and against the people of my wrath will I give him a charge, to take the spoil, and to take the prey, and to tread them down like the mire of the streets(The beast took down the apostate faction in the Church) 7 Howbeit he meaneth not so, neither doth his heart think so; but it is in his heart to destroy, and to cut off nations not a few. 8 For he saith, Are not my princes all of them kings? 9 Is not Calno as Carchemish? is not Hamath as Arpad? is not Samaria as Damascus? 10 As my hand hath found the kingdoms of the idols, whose graven images did excel them of Jerusalem and of Samaria; 11 shall I not, as I have done unto Samaria and her idols, so do to Jerusalem and her idols? (Only Zion escaped) 12 Wherefore it shall come to pass, that, when the Lord hath performed his whole work upon mount Zion and on Jerusalem, I will punish the fruit of the stout heart of the king of Assyria, and the glory of his high looks. 13 For he hath said, By the strength of my hand I have done it, and by my wisdom; for I have understanding: and I have removed the bounds of the peoples, and have robbed their treasures, and like a valiant man I have brought down them that sit on thrones: 14 and my hand hath found as a nest the riches of the peoples; and as one gathereth eggs that are forsaken, have I gathered all the earth: and there was none that moved the wing, or that opened the mouth, or chirped. 15 Shall the axe boast itself against him that heweth therewith? shall the saw magnify itself against him that wieldeth it? as if a rod should wield them that lift it up, or as if a staff should lift up him that is not wood. 16 Therefore will the Lord, Jehovah of hosts, send among his fat ones leanness; and under his glory there shall be kindled a burning like the burning of fire. 17 And the light of Israel will be for a fire, and his Holy One for a flame; and it will burn and devour his thorns and his briers in one day. 18 And he will consume the glory of his forest, and of his fruitful field, both soul and body: and it shall be as when a standard-bearer fainteth. 19 And the remnant of the trees of his forest shall be few, so that a child may write them. 20 And it shall come to pass in that day, that the remnant of Israel, and they that are escaped of the house of Jacob, shall no more again lean upon him that smote them, but shall lean upon Jehovah, the Holy One of Israel, in truth. 21 A remnant shall return, even the remnant of Jacob, unto the mighty God. 22 For though thy people, Israel, be as the sand of the sea, only a remnant of them shall return: a destruction is determined, overflowing with righteousness. 23 For a full end, and that determined, will the Lord, Jehovah of hosts, make in the midst of all the earth. 24 Therefore thus saith the Lord, Jehovah of hosts, O my people that dwellest in Zion, be not afraid of the Assyrian, though he smite thee with the rod, and lift up his staff against thee, after the manner of Egypt. 25 For yet a very little while, and the indignation against thee shall be accomplished, and mine anger shall be directed to his destruction. - And as we know an angel smote 185,000 of Sennacheribs valliant men and it was over. Now we have 61,000 criminals to be rounded up in the government, banksters, elete and their support. We received this on the 5th concerning the Sennacherib attack on the Bride which failed. Amber. 2Ki 19:1-7 And it came to pass, when king Hezekiah heard it, that he rent his clothes, and covered himself with sackcloth, and went into the house of Jehovah. 2 And he sent Eliakim, who was over the household, and Shebna the scribe, and the elders of the priests, covered with sackcloth, unto Isaiah the prophet the son of Amoz. 3 And they said unto him, Thus saith Hezekiah, This day is a day of trouble, and of rebuke, and of contumely; for the children are come to the birth, and there is not strength to bring forth. 4 It may be Jehovah thy God will hear all the words of Rabshakeh, whom the king of Assyria his master hath sent to defy the living God, and will rebuke the words which Jehovah thy God hath heard: wherefore lift up thy prayer for the remnant that is left. 5 So the servants of king Hezekiah came to Isaiah. 6 And Isaiah said unto them, Thus shall ye say to your master, Thus saith Jehovah, Be not afraid of the words that thou hast heard, wherewith the servants of the king of Assyria have blasphemed me. 7 Behold, I will put a spirit in him, and he shall hear tidings, and shall return to his own land; and I will cause him to fall by the sword in his own land. Here are a sampling of the words given in our morning prayer meetings by faith at random in last few days where a warning of Judgment is coming to the apostate Church by the Beast while the Bride Escapes. Missy. Micah 5:4, 1-15 Now shalt thou gather thyself in troops, O daughter of troops: he hath laid siege against us; they shall smite the judge of Israel with a rod upon the cheek. 2 But thou, Beth-lehem Ephrathah, which art little to be among the thousands of Judah, out of thee shall one come forth unto me that is to be ruler in Israel; whose goings forth are from of old, from everlasting. 3 Therefore will he give them up, until the time that she who travaileth hath brought forth (Man-child ministry anointed): then the residue of his brethren shall return unto the children of Israel. 4 And he shall stand, and shall feed his flock in the strength of Jehovah, in the majesty of the name of Jehovah his God: and they shall abide; for now shall he be great unto the ends of the earth. 5 And this man shall be our peace. When the Assyrian shall come into our land, and when he shall tread in our palaces, then shall we raise against him seven shepherds, and eight principal men. 6 And they shall waste the land of Assyria with the sword, and the land of Nimrod in the entrances thereof: and he shall deliver us from the Assyrian, when he cometh into our land, and when he treadeth within our border. 7 And the remnant of Jacob shall be in the midst of many peoples as dew from Jehovah, as showers upon the grass, that tarry not for man, nor wait for the sons of men. 8 And the remnant of Jacob shall be among the nations, in the midst of many peoples, as a lion among the beasts of the forest, as a young lion among the flocks of sheep; who, if he go through, treadeth down and teareth in pieces, and there is none to deliver. 9 Let thy hand be lifted up above thine adversaries, and let all thine enemies be cut off. 10 And it shall come to pass in that day, saith Jehovah, that I will cut off thy horses out of the midst of thee, and will destroy thy chariots: 11 and I will cut off the cities of thy land, and will throw down all thy strongholds. 12 And I will cut off witchcrafts out of thy hand; and thou shalt have no more soothsayers: 13 and I will cut off thy graven images and thy pillars out of the midst of thee; and thou shalt no more worship the work of thy hands; 14 and I will pluck up thine Asherim out of the midst of thee; and I will destroy thy cities. 15 And I will execute vengeance in anger and wrath upon the nations which hearkened not. Judy. Jer 23:13-20 And I have seen folly in the prophets of Samaria (Apostate northern tribes); they prophesied by Baal, and caused my people Israel to err. 14 In the prophets of Jerusalem (Apostate leadership of the false Bride) also I have seen a horrible thing: they commit adultery, and walk in lies; and they strengthen the hands of evil-doers, so that none doth return from his wickedness: they are all of them become unto me as Sodom, and the inhabitants thereof as Gomorrah. 15 Therefore thus saith Jehovah of hosts concerning the prophets: Behold, I will feed them with wormwood, and make them drink the water of gall; for from the prophets of Jerusalem is ungodliness gone forth into all the land. 16 Thus saith Jehovah of hosts, Hearken not unto the words of the prophets that prophesy unto you: they teach you vanity; they speak a vision of their own heart, and not out of the mouth of Jehovah. 17 They say continually unto them that despise me, Jehovah hath said, Ye shall have peace; and unto every one that walketh in the stubbornness of his own heart they say, No evil shall come upon you. 18 For who hath stood in the council of Jehovah, that he should perceive and hear his word? who hath marked my word, and heard it? 19 Behold, the tempest of Jehovah, even his wrath, is gone forth, yea, a whirling tempest: it shall burst upon the head of the wicked. 20 The anger of Jehovah shall not return, until he have executed, and till he have performed the intents of his heart: in the latter days ye shall understand it perfectly. Deb: I heard in my spirit during prayer "The sword shall be doubled a third time and it shall be done" and when I asked, "What shall be done?" my finger came down on "thou." My first thought was that it's referring to the next false flag, but the Isaiah verse doesn't seem to confirm that. I knew it was a piece of (Eze.21:14) Thou therefore, son of man, prophesy, and smite thy hands together; and let the sword be doubled the third time, the sword of the deadly wounded (False leadership): it is the sword of the great one that is deadly wounded, which entereth into their chambers. (Isa.51:21) (The righteous remnant is spared) Therefore hear now this, thou afflicted, and drunken, but not with wine: (22) Thus saith thy Lord Jehovah, and thy God that pleadeth the cause of his people, Behold, I have taken out of thy hand the cup of staggering, even the bowl of the cup of my wrath; thou shalt no more drink it again: (23) and I will put it into the hand of them that afflict thee, that have said to thy soul, Bow down, that we may go over; and thou hast laid thy back as the ground, and as the street, to them that go over. Denny Finger On 8, "servant David". 1 Kings 14:6-9 And it was so, when Ahijah heard the sound of her feet, as she came in at the door, that he said, Come in, thou wife of Jeroboam; why feignest thou thyself to be another? for I am sent to thee with heavy tidings. 7 Go, tell Jeroboam (The factious leadership who turned the apostate 10 tribes away from the house of David), Thus saith Jehovah, the God of Israel: Forasmuch as I exalted thee from among the people, and made thee prince over my people Israel, 8 and rent the kingdom away from the house of David, and gave it thee; and yet thou hast not been as my servant David, who kept my commandments, and who followed me with all his heart, to do that only which was right in mine eyes, 9 but hast done evil above all that were before thee, and hast gone and made thee other gods, and molten images, to provoke me to anger, and hast cast me behind thy back: 10 therefore, behold, I will bring evil upon the house of Jeroboam, and will cut off from Jeroboam every man-child, him that is shut up and him that is left at large in Israel, and will utterly sweep away the house of Jeroboam, as a man sweepeth away dung, till it be all gone. 11 Him that dieth of Jeroboam in the city shall the dogs eat; and him that dieth in the field shall the birds of the heavens eat: for Jehovah hath spoken it. 12 Arise thou therefore, get thee to thy house: and when thy feet enter into the city, the child shall die. 13 And all Israel shall mourn for him, and bury him; for he only of Jeroboam shall come to the grave, because in him there is found some good thing toward Jehovah, the God of Israel, in the house of Jeroboam. 14 Moreover Jehovah will raise him up a king over Israel, who shall cut off the house of Jeroboam that day: but what? even now. Shalonda. Eze 23:28-31 For thus saith the Lord Jehovah: Behold, I will deliver thee into the hand of them whom thou hatest, into the hand of them from whom thy soul is alienated; 29 and they shall deal with thee in hatred, and shall take away all thy labor, and shall leave thee naked and bare; and the nakedness of thy whoredoms shall be uncovered, both thy lewdness and thy whoredoms. 30 These things shall be done unto thee, for that thou hast played the harlot after the nations, and because thou art polluted with their idols. 31 Thou hast walked in the way of thy sister; therefore will I give her cup into thy hand. Brandy.- Faction go to hell with Pharoah - Eze 32:29-32 There is Edom (Esau’s faction), her kings and all her princes, who in their might are laid with them that are slain by the sword: they shall lie with the uncircumcised, and with them that go down to the pit. 30 There are the princes of the north, all of them, and all the Sidonians, who are gone down with the slain; in the terror which they caused by their might they are put to shame; and they lie uncircumcised with them that are slain by the sword, and bear their shame with them that go down to the pit. 31 Pharaoh shall see them, and shall be comforted over all his multitude, even Pharaoh and all his army, slain by the sword, saith the Lord Jehovah. 32 For I have put his terror in the land of the living; and he shall be laid in the midst of the uncircumcised, with them that are slain by the sword, even Pharaoh and all his multitude, saith the Lord Jehovah. Eve. Zep 3:15-17 Jehovah hath taken away thy judgments, he hath cast out thine enemy: the King of Israel, even Jehovah, is in the midst of thee; thou shalt not fear evil any more. 16 In that day it shall be said to Jerusalem, Fear thou not; O Zion, let not thy hands be slack. 17 Jehovah thy God is in the midst of thee, a mighty one who will save; he will rejoice over thee with joy; he will rest in his love; he will joy over thee with singing. Missy. Isa 54:1-17 Sing, O barren, thou that didst not bear; break forth into singing, and cry aloud, thou that didst not travail with child: for more are the children of the desolate than the children of the married wife, saith Jehovah. 2 Enlarge the place of thy tent, and let them stretch forth the curtains of thy habitations; spare not: lengthen thy cords, and strengthen thy stakes. 3 For thou shalt spread abroad on the right hand and on the left; and thy seed shall possess the nations, and make the desolate cities to be inhabited. 4 Fear not; for thou shalt not be ashamed: neither be thou confounded; for thou shalt not be put to shame: for thou shalt forget the shame of thy youth; and the reproach of thy widowhood shalt thou remember no more. 5 For thy Maker is thy husband; Jehovah of hosts is his name: and the Holy One of Israel is thy Redeemer; the God of the whole earth shall he be called. 6 For Jehovah hath called thee as a wife forsaken and grieved in spirit, even a wife of youth, when she is cast off, saith thy God. 7 For a small moment have I forsaken thee; but with great mercies will I gather thee. 8 In overflowing wrath I hid my face from thee for a moment; but with everlasting lovingkindness will I have mercy on thee, saith Jehovah thy Redeemer. 9 For this is as the waters of Noah unto me; for as I have sworn that the waters of Noah shall no more go over the earth, so have I sworn that I will not be wroth with thee, nor rebuke thee. 10 For the mountains may depart, and the hills be removed; but my lovingkindness shall not depart from thee, neither shall my covenant of peace be removed, saith Jehovah that hath mercy on thee. 11 O thou afflicted, tossed with tempest, and not comforted, behold, I will set thy stones in fair colors, and lay thy foundations with sapphires. 12 And I will make thy pinnacles of rubies, and thy gates of carbuncles, and all thy border of precious stones. 13 And all thy children shall be taught of Jehovah; and great shall be the peace of thy children. 14 In righteousness shalt thou be established: thou shalt be far from oppression, for thou shalt not fear; and from terror, for it shall not come near thee. 15 Behold, they may gather together, but not by me: whosoever shall gather together against thee shall fall because of thee. 16 Behold, I have created the smith that bloweth the fire of coals, and bringeth forth a weapon for his work; and I have created the waster to destroy. 17 No weapon that is formed against thee shall prosper; and every tongue that shall rise against thee in judgment thou shalt condemn. This is the heritage of the servants of Jehovah, and their righteousness which is of me, saith Jehovah. Joe. Jer 6:26-30 O daughter of my people, gird thee with sackcloth, and wallow thyself in ashes: make thee mourning, as for an only son, most bitter lamentation; for the destroyer shall suddenly come upon us. 27 I have made thee a trier and a fortress among my people; that thou mayest know and try their way. 28 They are all grievous revolters, going about with slanders; they are brass and iron: they all of them deal corruptly. 29 The bellows blow fiercely; the lead is consumed of the fire: in vain do they go on refining; for the wicked are not plucked away. 30 Refuse silver shall men call them, because Jehovah hath rejected them.